Hope your weekend is going well! There are lots of temptations afoot right now, since Polish Pickup January 2018 Crystals & Gemstones-themed indie pop up shop is open! Until January 8 at 11:59PM EST, you can grab a variety of jewelicious items. 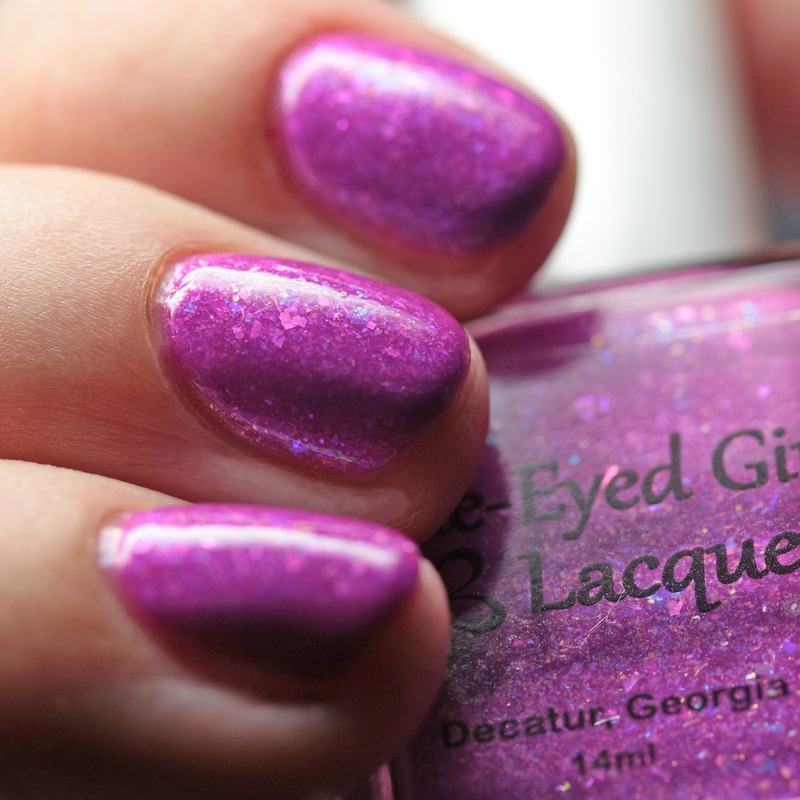 One of the lovely ones is from Blue-Eyed Girl Lacquer, who chose the mineral corundum as her inspiration! 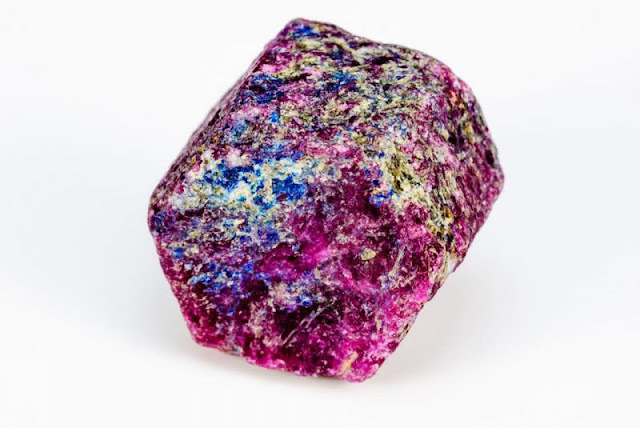 Corundum is aluminum oxide crystal with traces of other elements that add color, forming rubies and sapphires. They are hard, beautiful, and can be found in a rainbow of colors and can even be grown to gem quality in a lab. Blue-Eyed Girl Lacquer The Corundum Conundrum is a neon fuchsia with gold and blue microflakes and blue-to-gold and green-to-magenta iridescent multichrome flakes. It covers in two or three thin coats and has a satin finish, shown here with top coat. Nice, quick dry time and a lot of depth. I have already gone hog-wild shopping the site since there are so many must-haves for jewel-tone lovers! 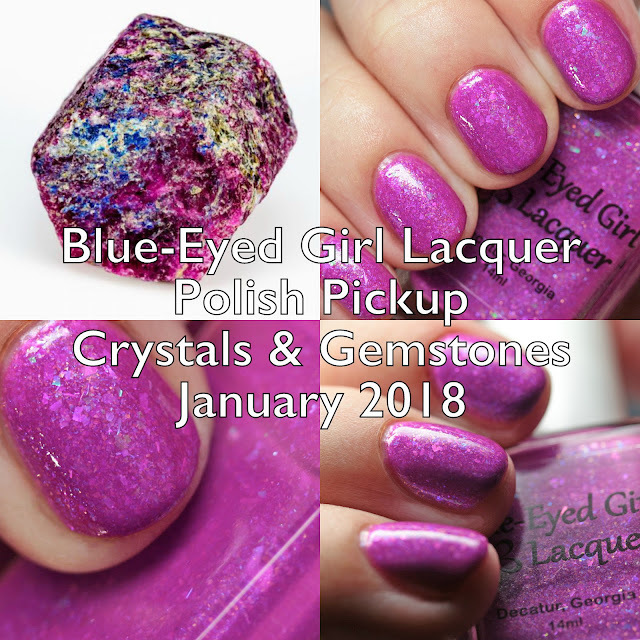 If you have a need for an amazing fuchsia flake polish, head on over to Polish Pickup January 2018 Crystals & Gemstones. You've got a couple days until the shop closes on January 8 at 11:59PM EST. Do you need some liquid gems in your life?